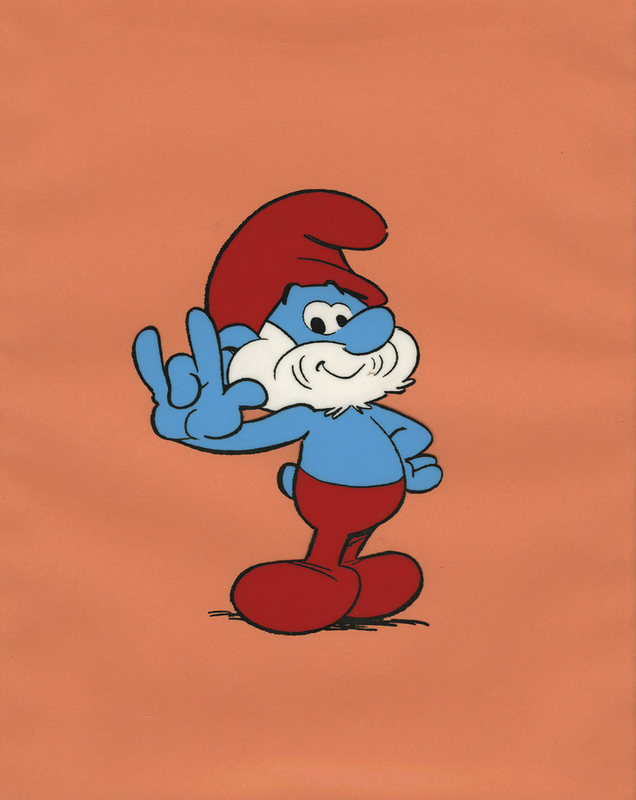 This is an original publicity cel featuring Papa Smurf that was created at the Hanna Barbera studios and used for marketing/promotion or a studio gift for their 1980s cartoon, Smurfs. 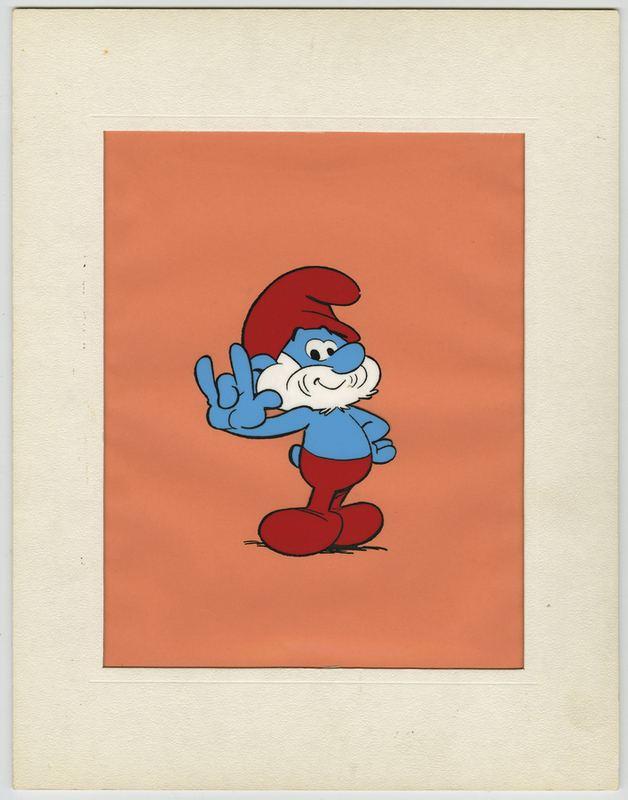 The overall piece measures 13.75" x 10.75" mattted with an opening that measures about 9.5" x 7.5", and the image itself of Papa Smurf saying "I Love You" in sign language measures 5" x 3.5". The cel is in excellent condition.